WeChat Payment Crossborder is not particularly new, but to a lot of businesses outside China it can still seem like magic. The concept is simple: customers pay with their regular WeChat account in RMB, and the money directly arrives in your oversea account in the local currency. As of today (October 11th) , it supports 8 foreign currencies: USD, Euro, Australian dollar, Singapore dollar, Korean won, Japanese yen, British Pound and Hong Kong dollar. Any foreign company can apply. For most companies, you need to find a local company who has Chinese business license to apply for a Chinese OA. For foreign companies who are exporting a physical product to China, you can create a Chinese OA with your foreign business license. The usefulness of WeChat payment cross border accounts can hardly be overstated. They will mostly benefit two industries. 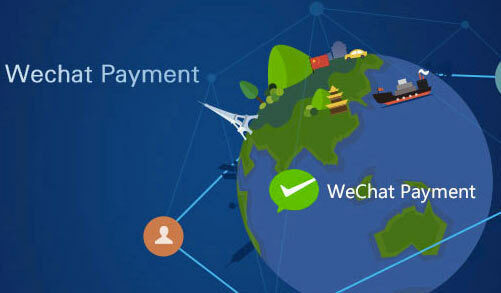 The WeChat cross border payment system enables Chinese users to purchase items directly from shops, hotels or restaurants abroad without having to exchange currency or withdraw money: a key factor which will increase the amount of purchases among Chinese tourists. WeChat cross-border will also enable companies outside China to sell in the Chinese market without having to set-up shop in China. The concept is simple: customers pay with their regular WeChat account in RMB, and the money directly arrives in your oversea account in the local currency.